Discussion in 'Industry News' started by BoulderDash, Sep 8, 2014. Just saw it. 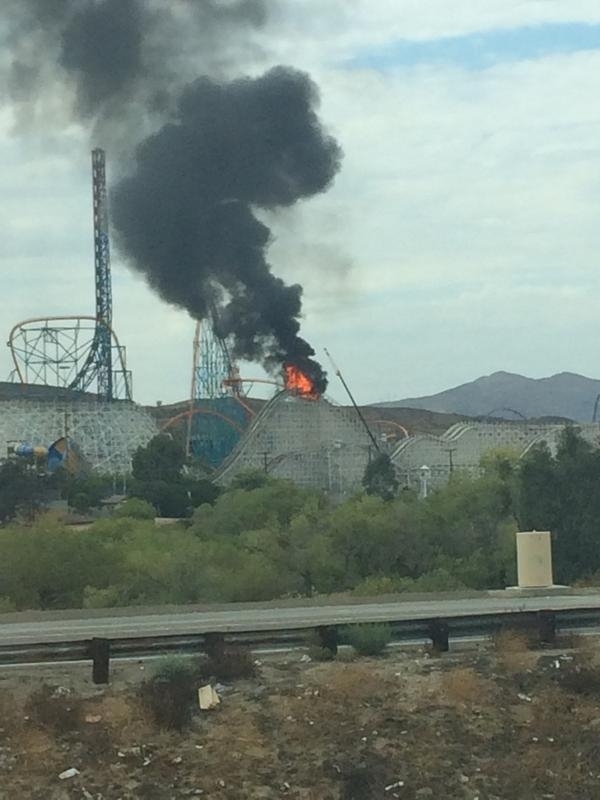 That is the area they have been working on so someone definitely started the fire accidentally. Thats crazy. 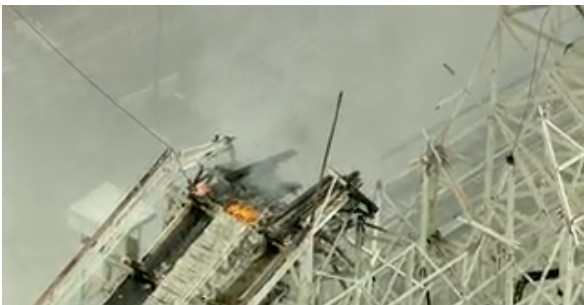 Anyways, the ride has been severely damaged and this will without a doubt put a hold on the "Twisted Colossus" project. Here's hoping the damage can be repaired. New developments. 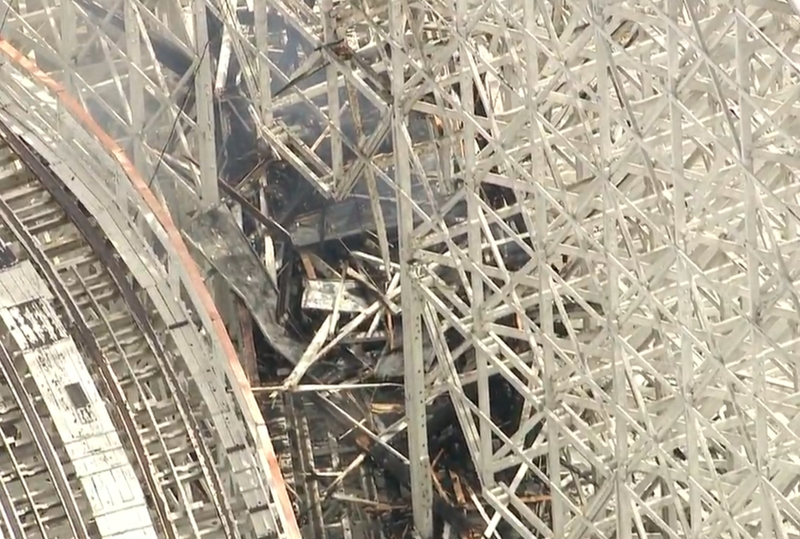 The ride is extremely damaged and supports stretching down to the footers have been burned. 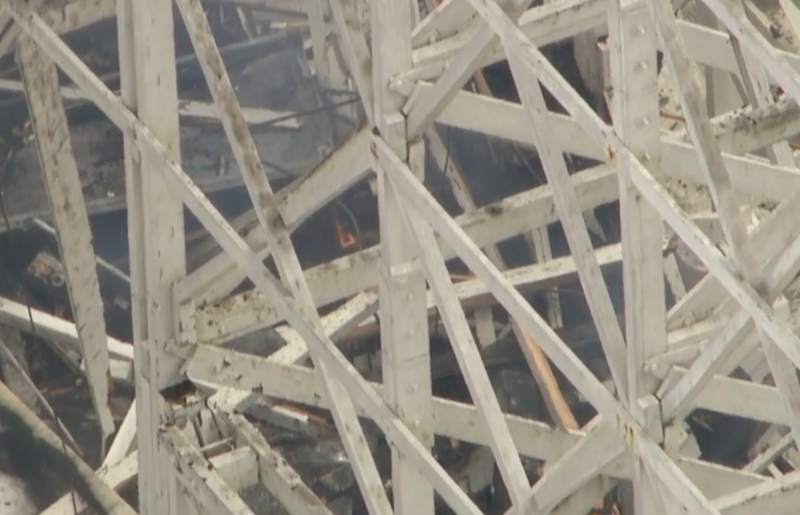 A lot of the structure will need to be rebuilt. Ouchies... That should delay the project a bit. 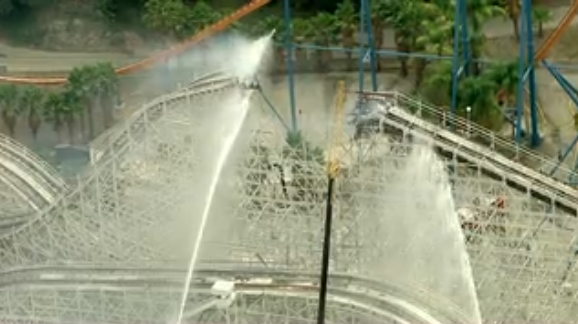 I bet a lot of the wood around the fire area could be compromised too from the heat, fire, and hoses. 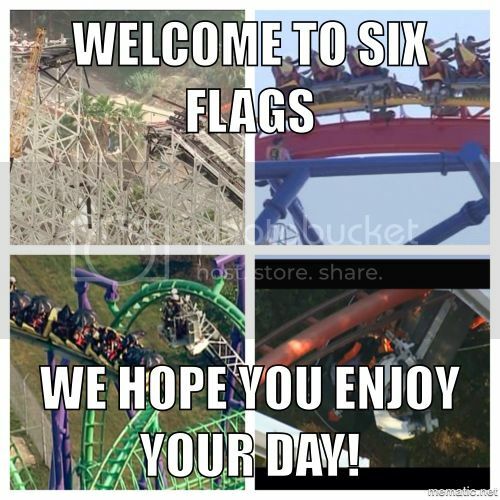 Now Six Flags actually has a reason to open this in September if not later. 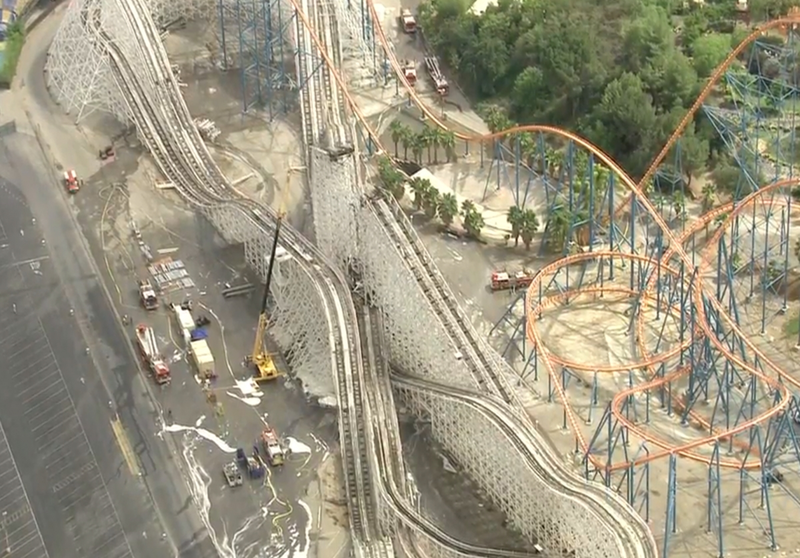 I wonder if this would prompt RMC to completely ditch the Lift hill structure and do something like Goliath. Who knows what supports accidentally got taken out when the structure collapsed- wouldn't be surprised if other parts buckled. Another update. 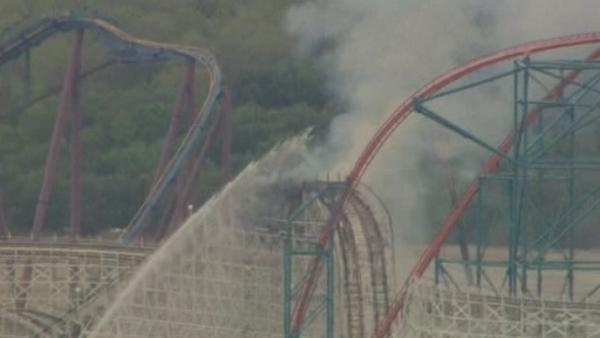 Media is warning that the fire department has stated a total collapse of the lift hill is possible, and that an evacuation may be ordered. The national news said, it was in the process of being disassembled. I got in a fight with my mom because I corrected the news saying it was being renovated and she said didn't you just hear them they said it was being demolished. Perhaps I should have looked around more. I just posted a thread in the Worldwide Parks Discussion. Silly me. It's fine. I just merged it. And those pictures were gathered by a TPR user from a bunch of different social media accounts. No need to give them credit. Haha. That's exactly what's wrong with this country. Lol. Everyone believes everything the media says as the truth.